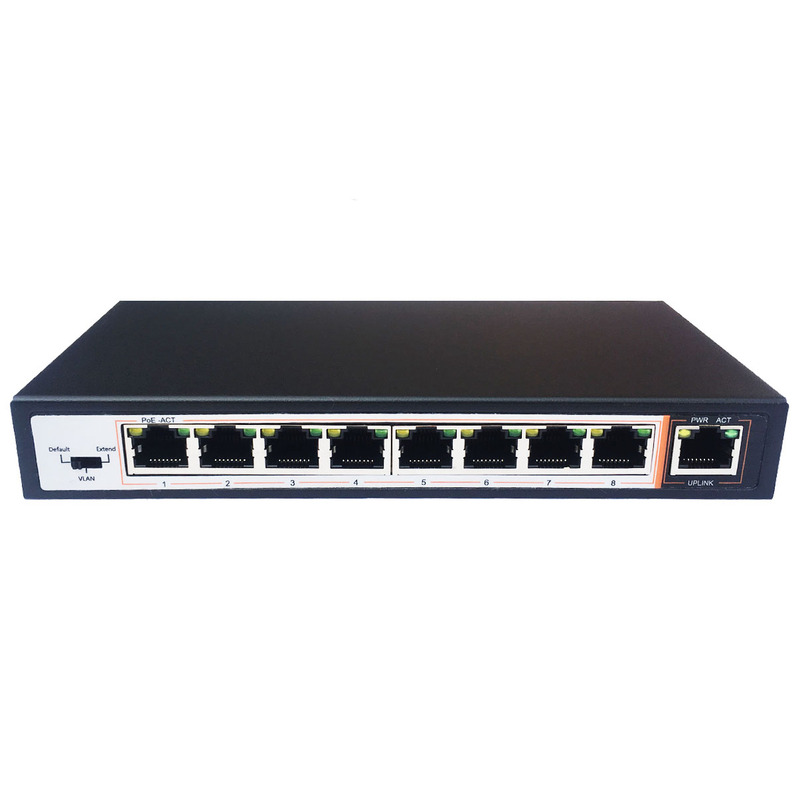 8+1 PoE Switch SA-PS81M, power adapter, mount kit and user guide. 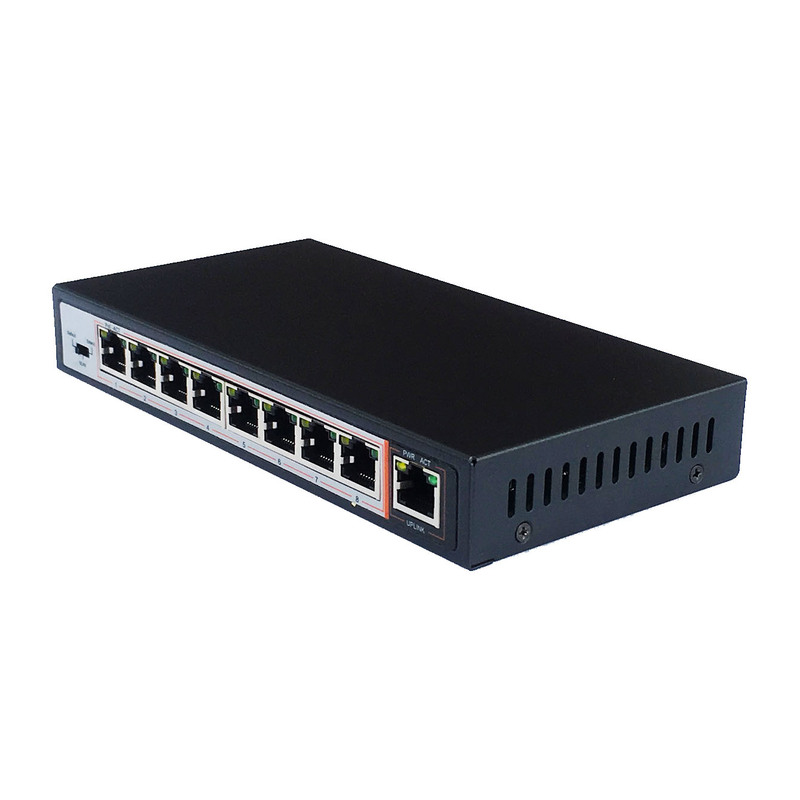 SA-PS81M is 8 port 100Mbps PoE+ switch with 1 Ethernet uplink ports RJ45, auto-detection and identification IEEE802.3af/at standard PD devices, then provide network signal and power over ethernet to any PoE and PoE+ devices, like, IP cameras, Access Points and VoIP phones and others. 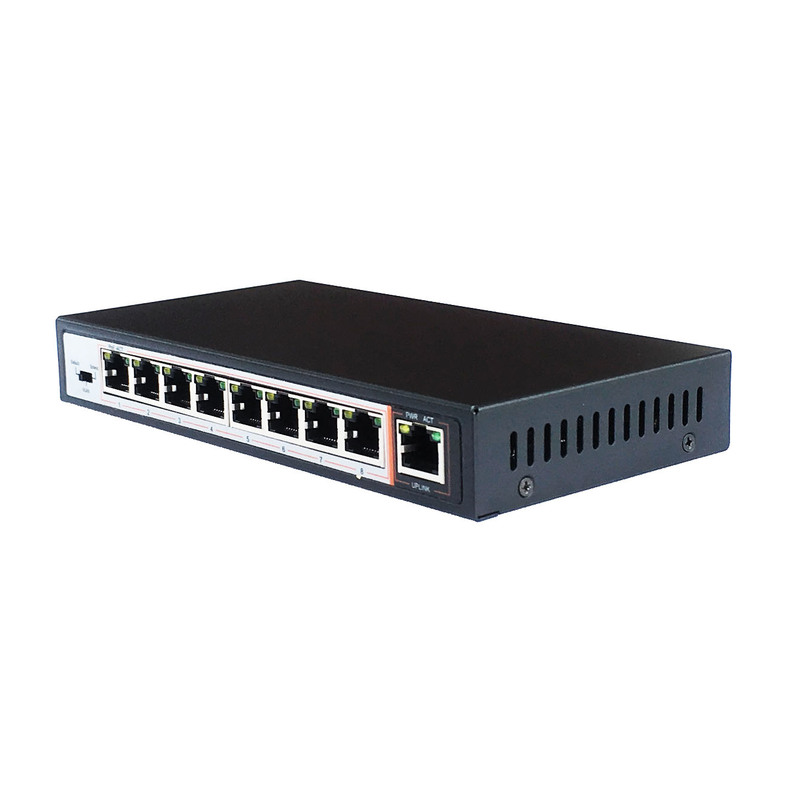 PoE Switch SA-PS81M is the perfect choice for the mini-type commercial network, it economically uses PoE deployment and can be mounted on the wall or some other places inside your office or house. Transmission distance: Manageable, 100-250m, it can be a flexible installation for wireless AP and surveillance project. -PoE Switch SA-PS81M PDF-Flyer with Diagram. Beautiful thing and working good, I recommend! Excellent work with many different VoIP phones, we are buying it all the time. 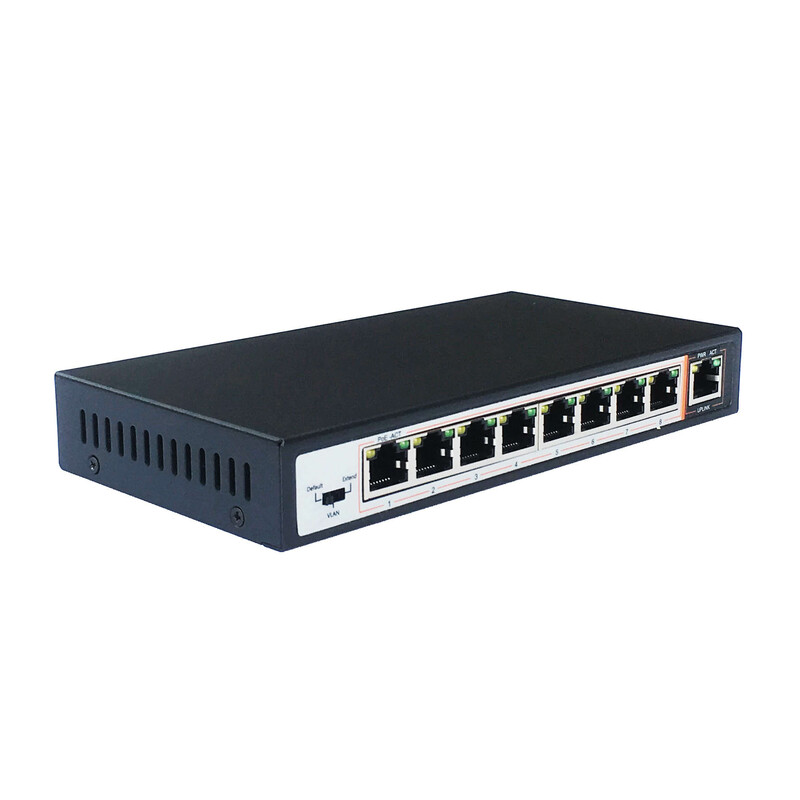 Support power over Ethernet cable device, for example, wireless AP and IP camera. It will give the speed of 10Mbps at 250meter when connecting IP cameras. 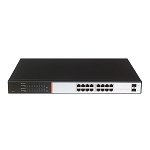 Adopted storage forward switch systemSmart power and minimum consumption, guarantee PD requirement. Fanless design, energy saving, and environmental protection. Support saving power function when porting un-connection. 1. In order to safety, please non-professionals do not open the casing of product. 2. Please be careful of the risk of strong current and security protection when products carry power. 3. 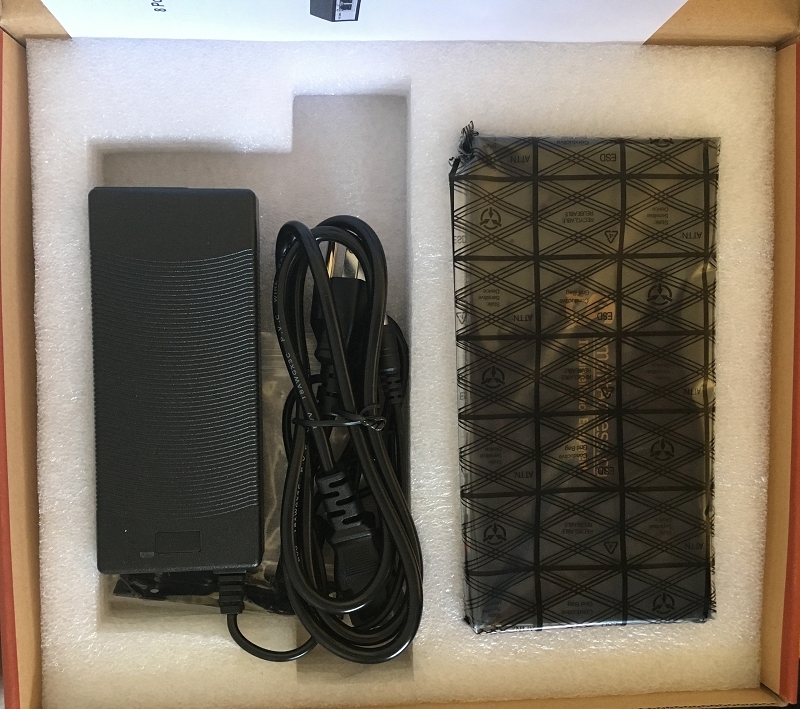 Please select the right power adaptor to provide power for PoE switch, before using please confirm if is it accord with the requirement of PoE switch. 4. Please do not use PoE switch under the humid environment, avoiding water go into the product inside caused PoE switch breakdown. 5. Please start the power after the circuit connected. 6. Please do not the plug-in and plug-out the connection cable when the product is carrying on power. 7. Please do not use PoE switch under somewhere with more dust and EME. 8. Please do not put a heavy thing on PoE switch, in order to have an accident. 9. According to the IEEE802.3AF/AT standard, please use the Cat.5 or above, transmission distance 250m. 10. Please do not exceed the maximum output power of PoE switch when it connects more than one PD device. 11. 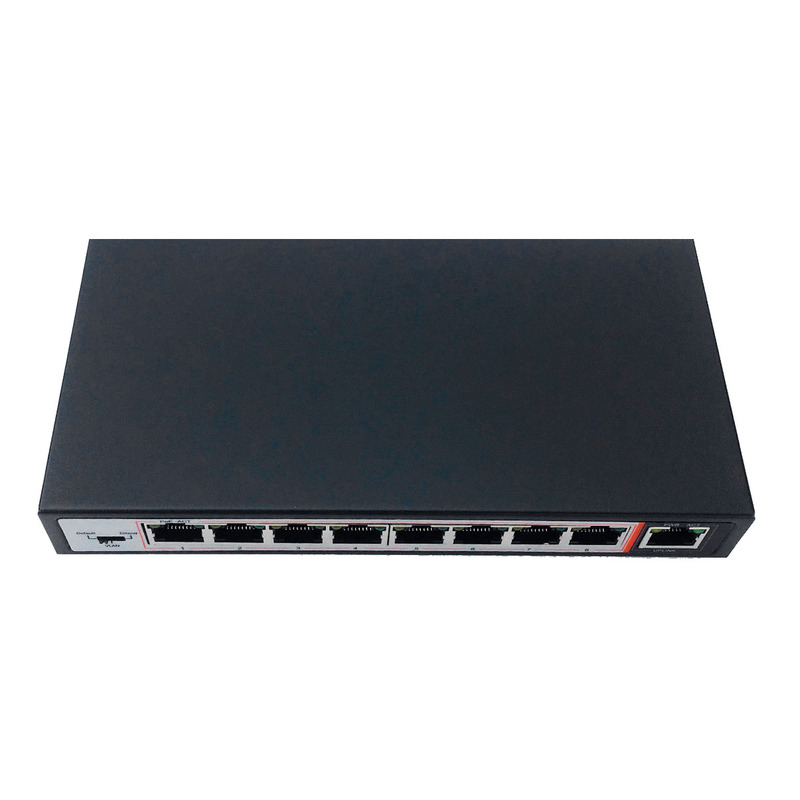 The suggestion that PoE switch use for indoor, if you want to use for outdoor, please install a waterproof box. POE POE Indication Yellow Light ON If red light off, pls check if the corresponding RJ45 access network device and the network cable connect correctly, if the network cable is accord with Cat.5e, if the network cable and network device are damaged. 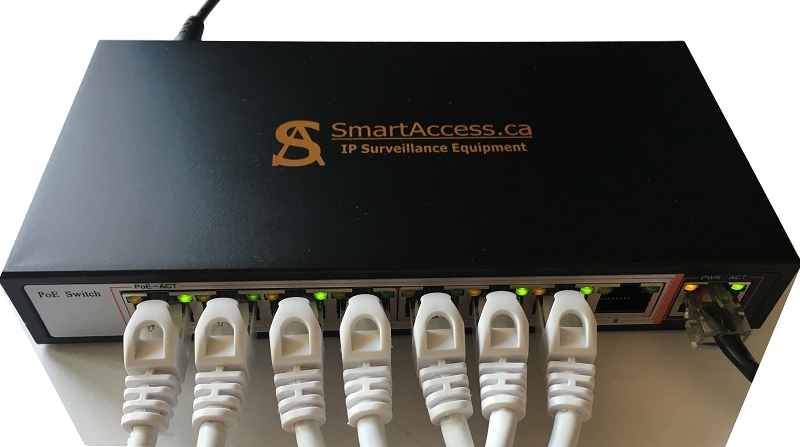 LINK/ACT PD Device Connection Indication Green Light ON If light off，pls check if the corresponding RJ45 access network device and POE powered normal if the network cable connect correctly and the network device is damaged.